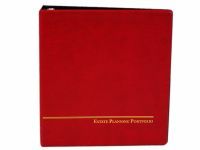 Our Deluxe Estate Planning Portfolio Binders are high quality binders that will present a professional image to clients and peers. 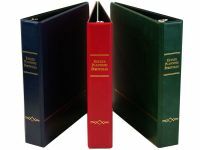 Our binders are manufactured to the highest standards to provide you with a binder that will retain its professional look with continuous use. You can be assured that your documents will be secure and organized in Legal Binders Now's Deluxe Binders. We manufacture our binders at our state-of-the-art facility, ensuring the quality of our products and bringing the binders to you at manufacturer prices.